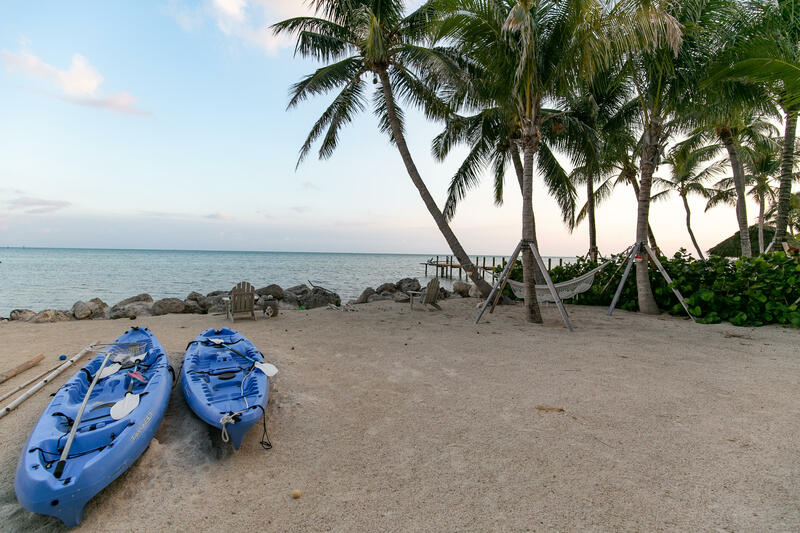 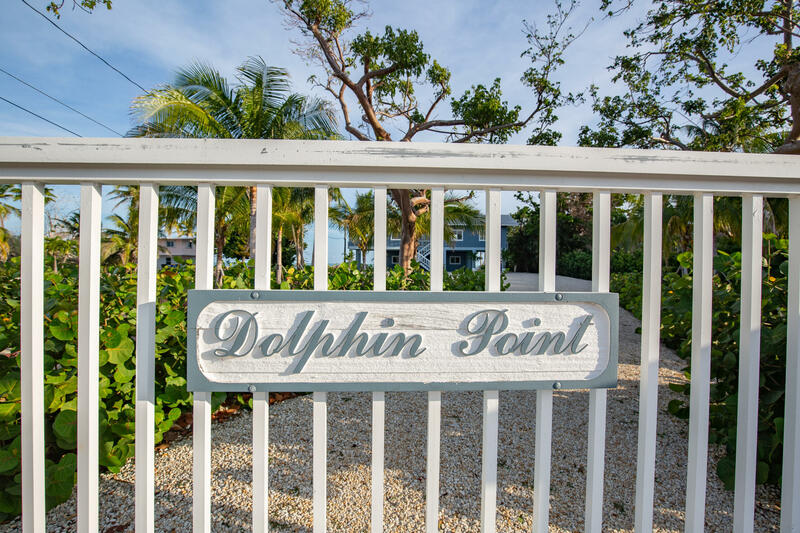 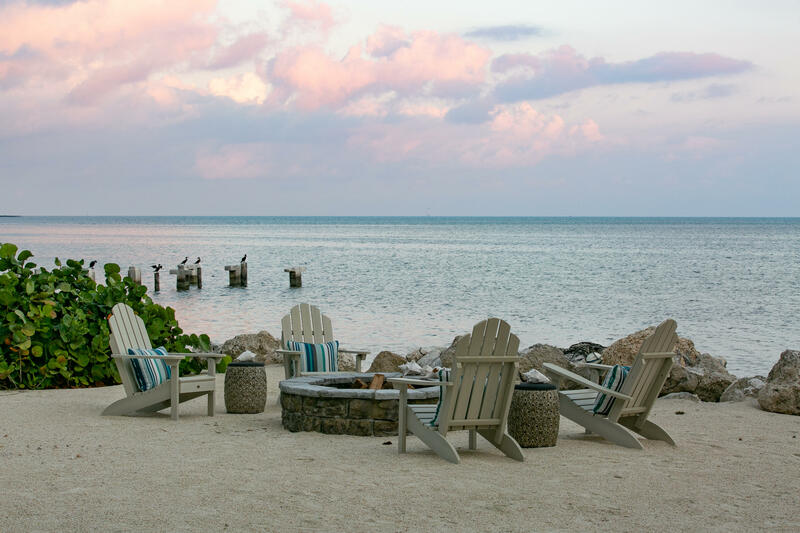 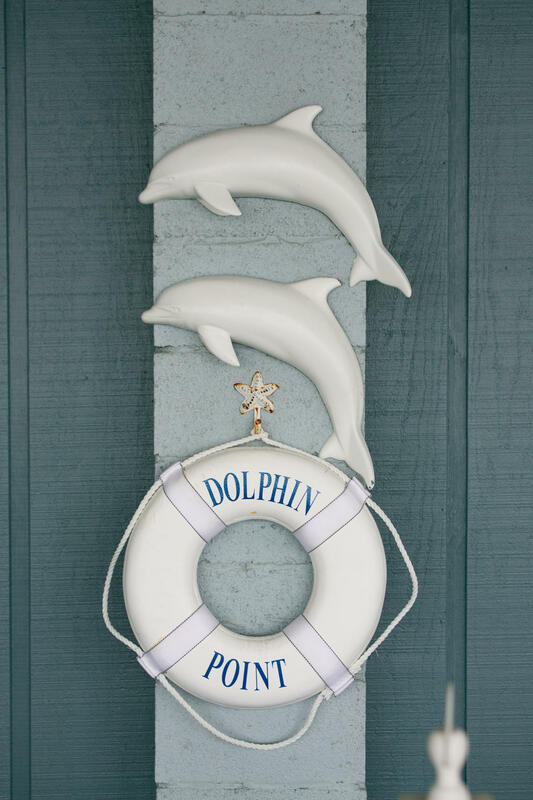 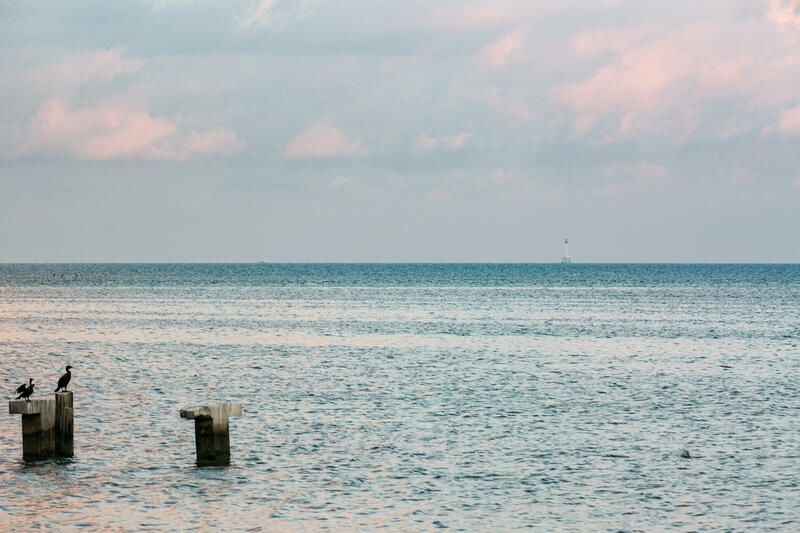 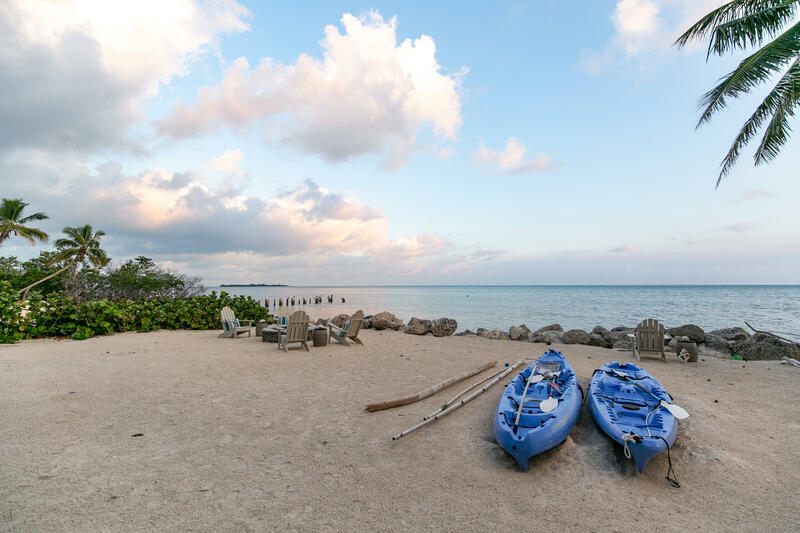 Dolphin Point is your private beach resort. 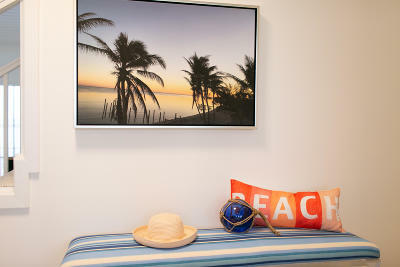 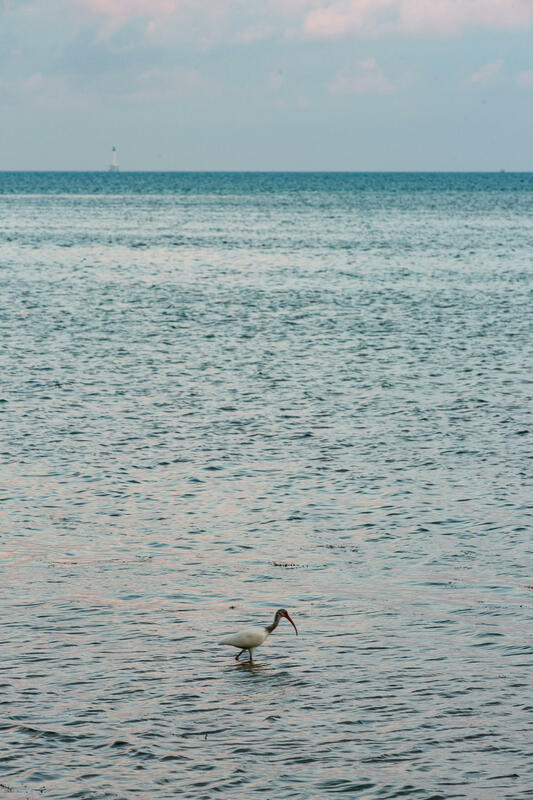 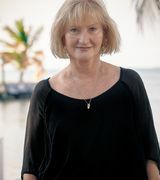 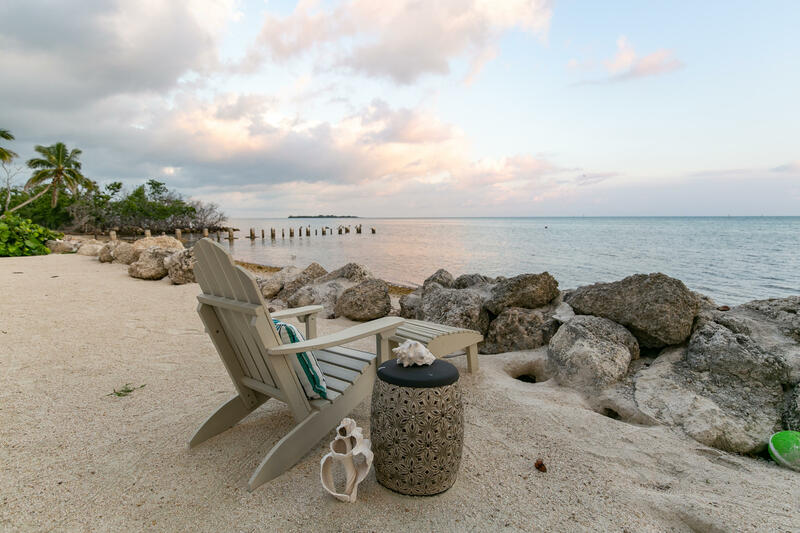 The beautifully landscaped beachfront location and gracious interiors create a feeling of barefoot elegance. 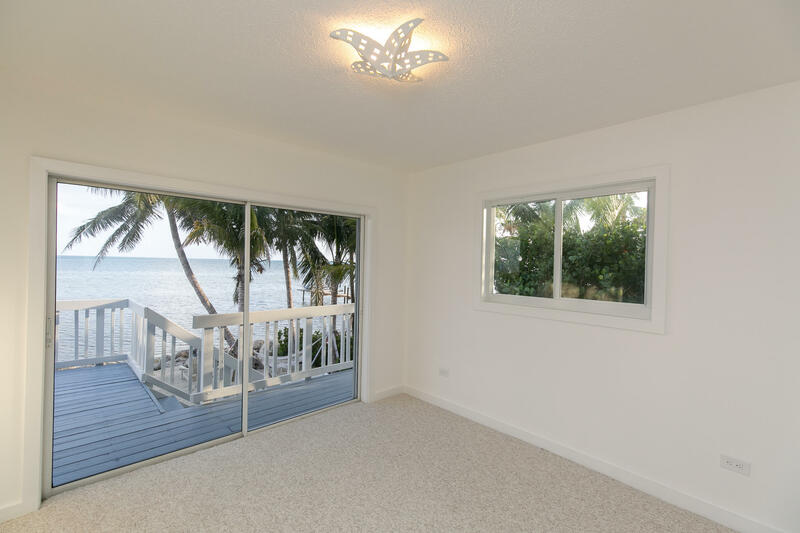 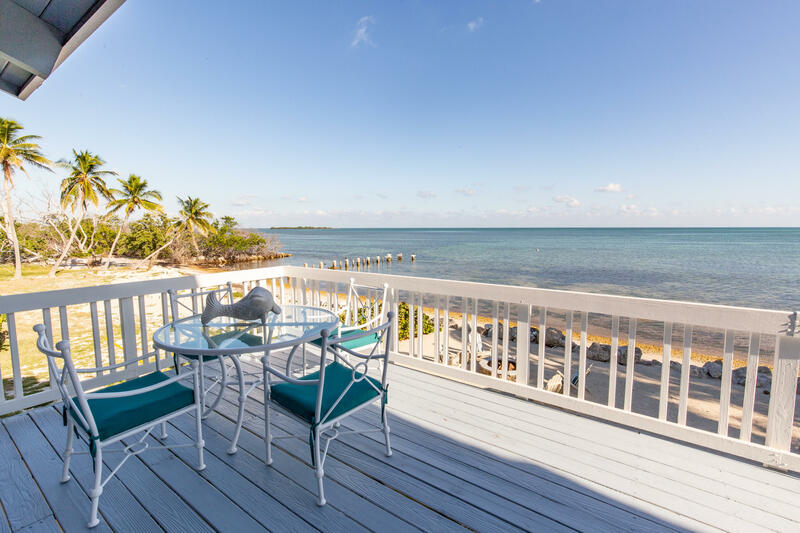 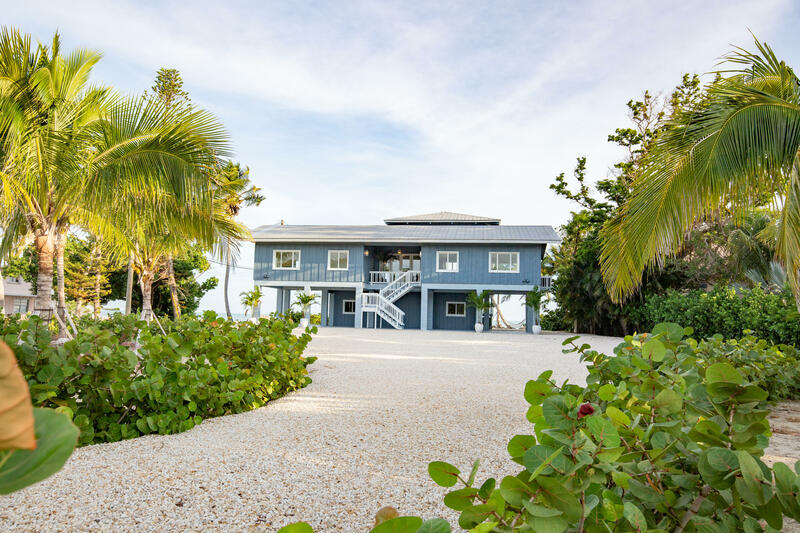 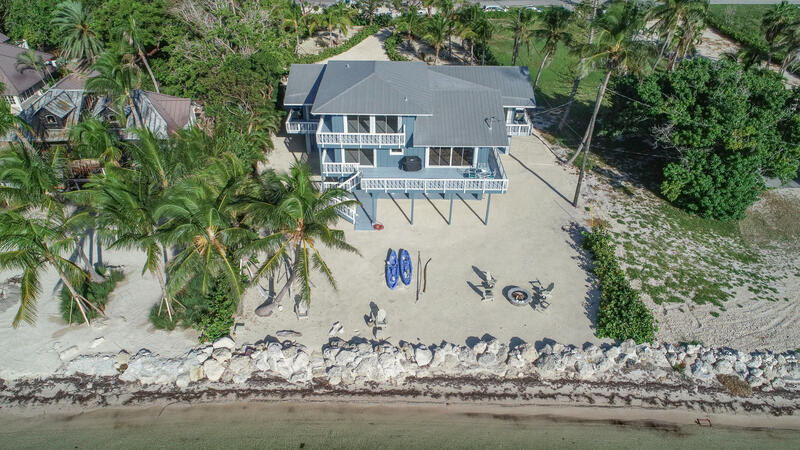 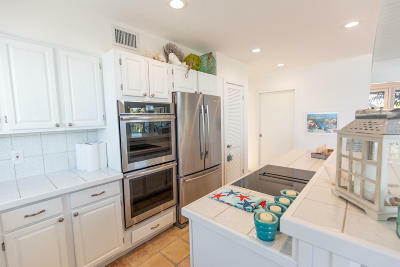 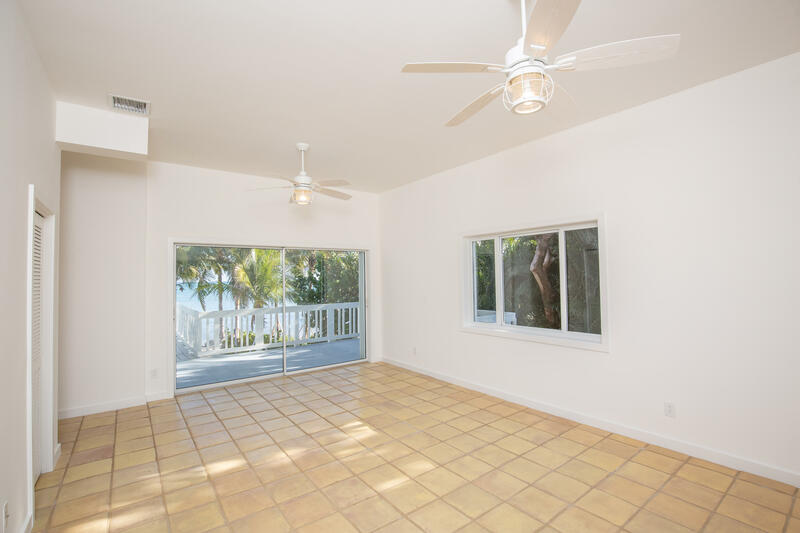 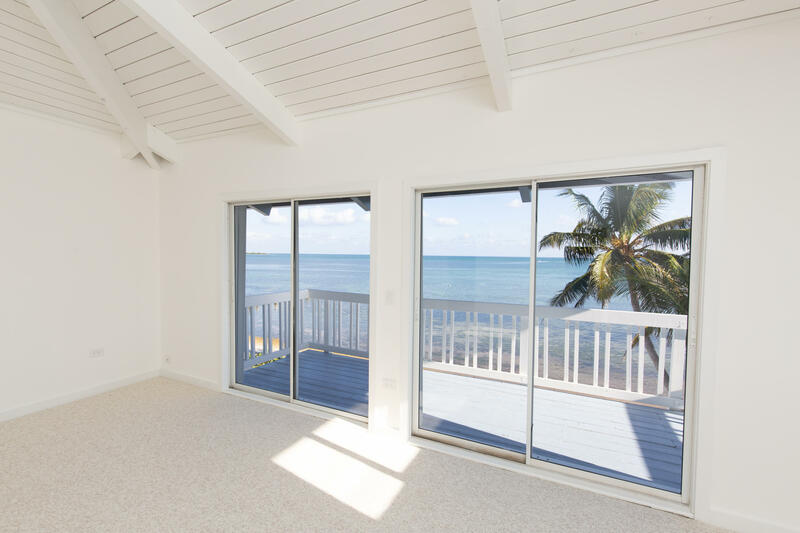 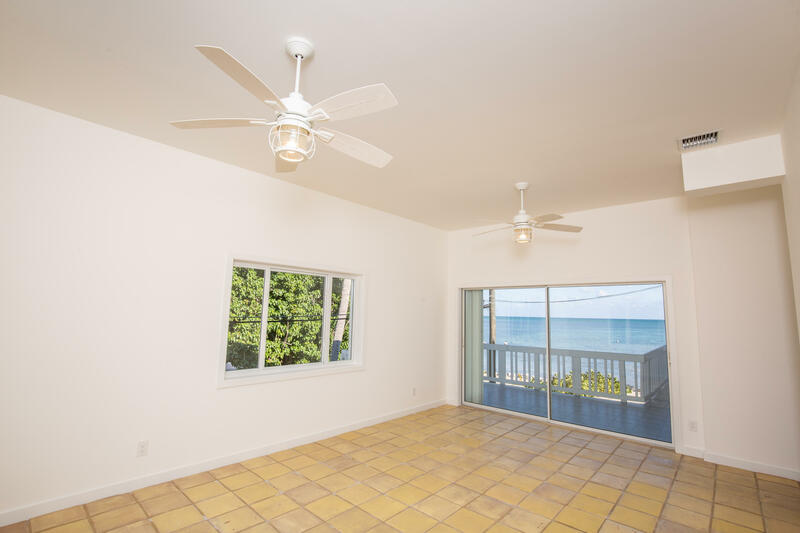 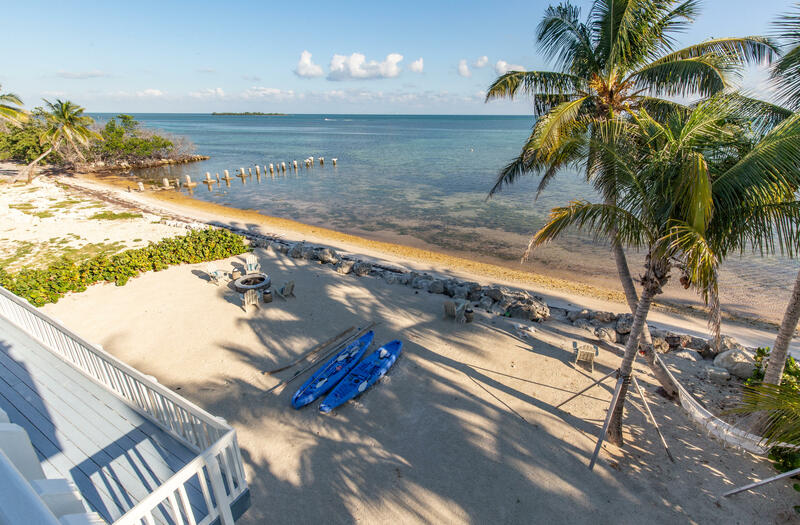 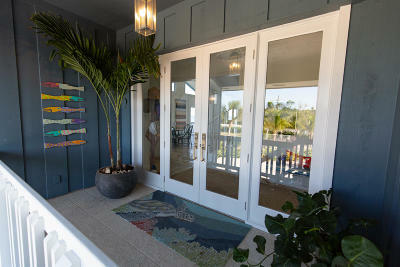 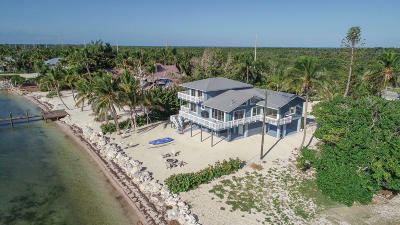 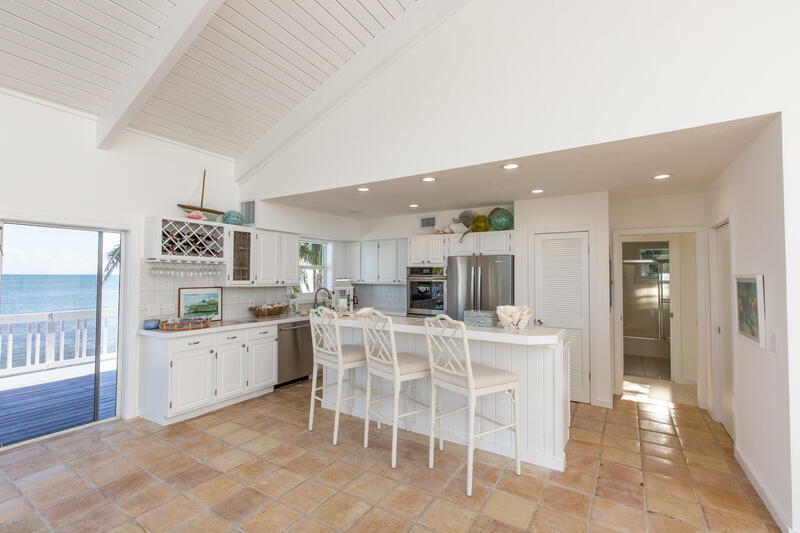 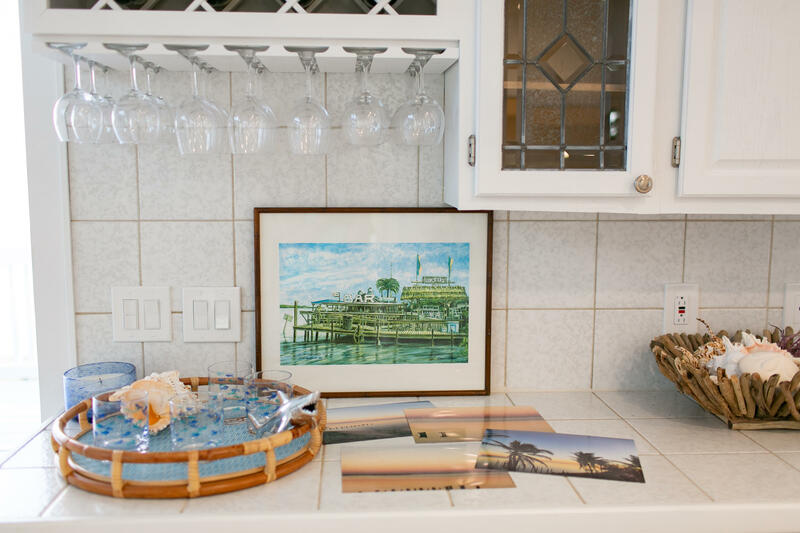 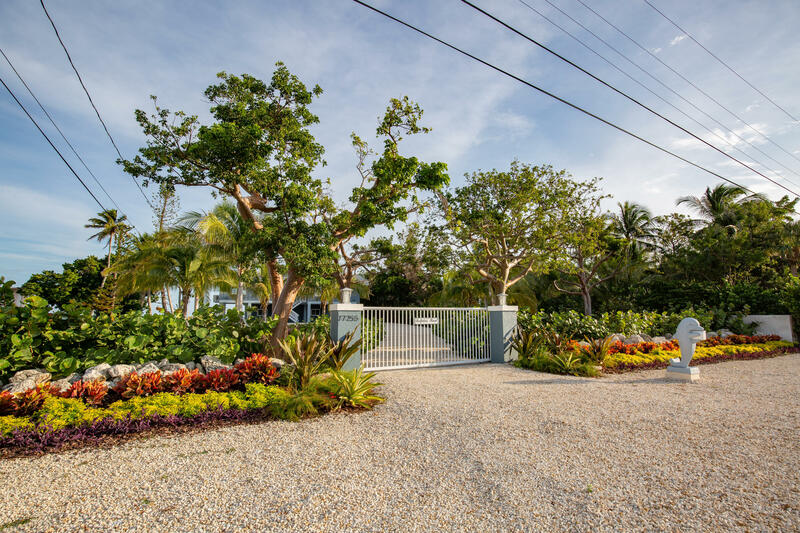 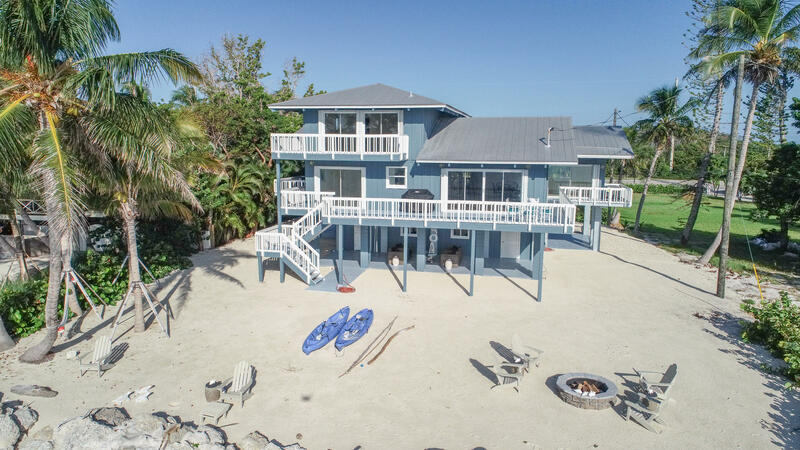 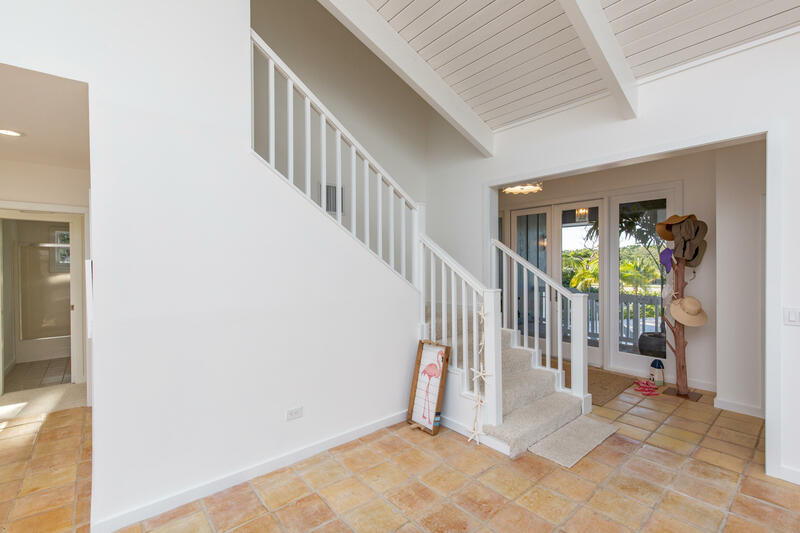 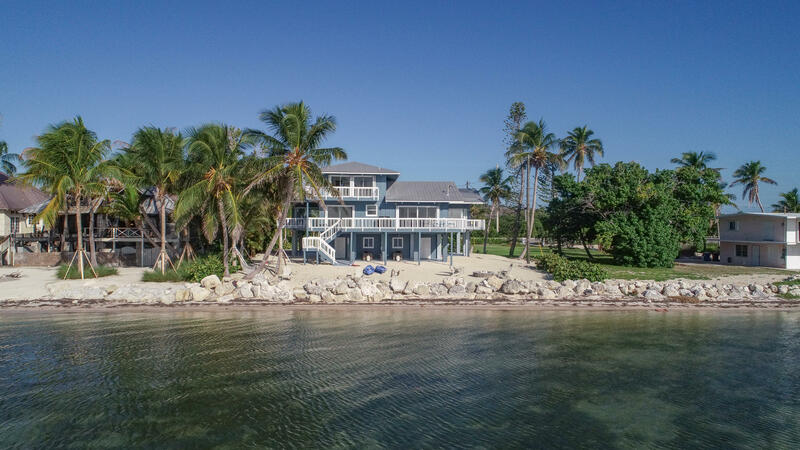 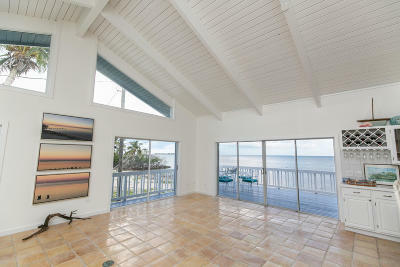 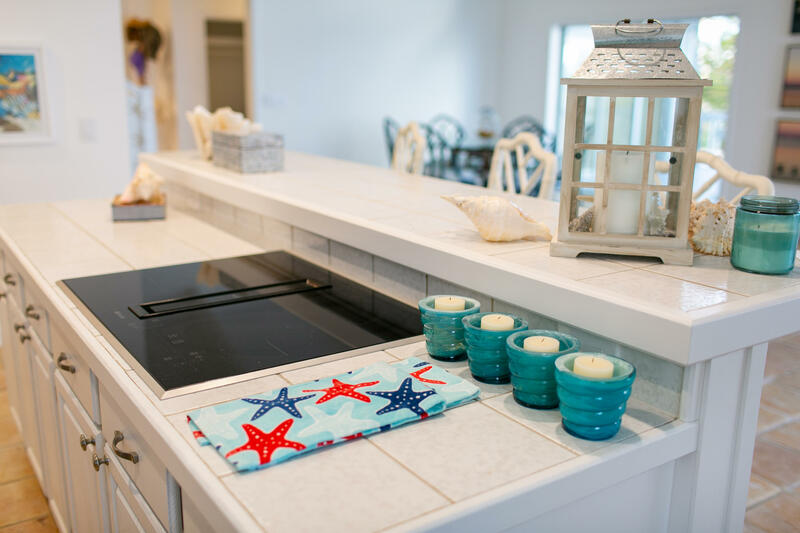 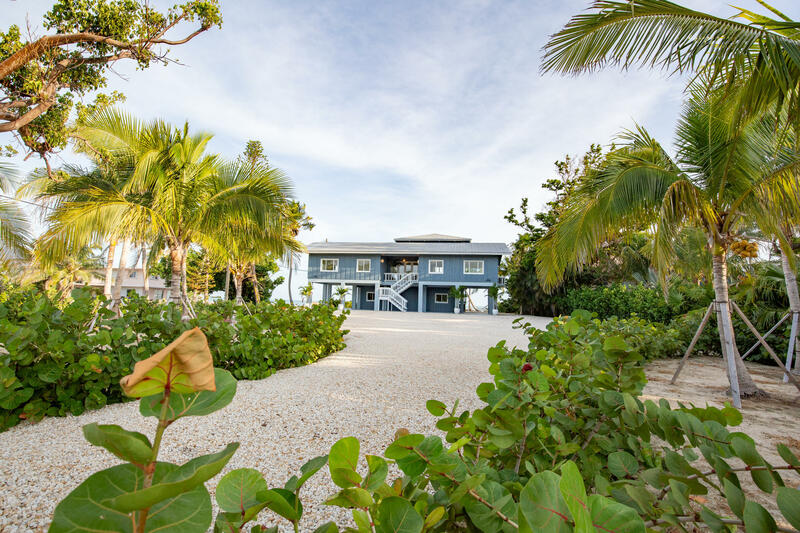 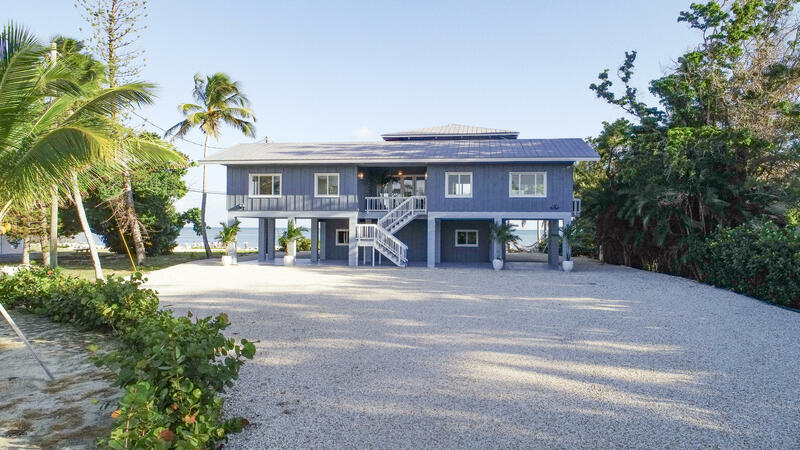 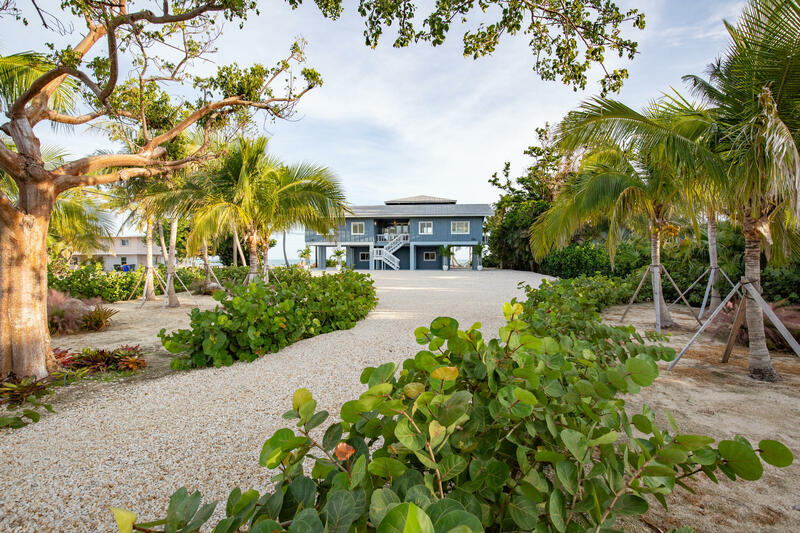 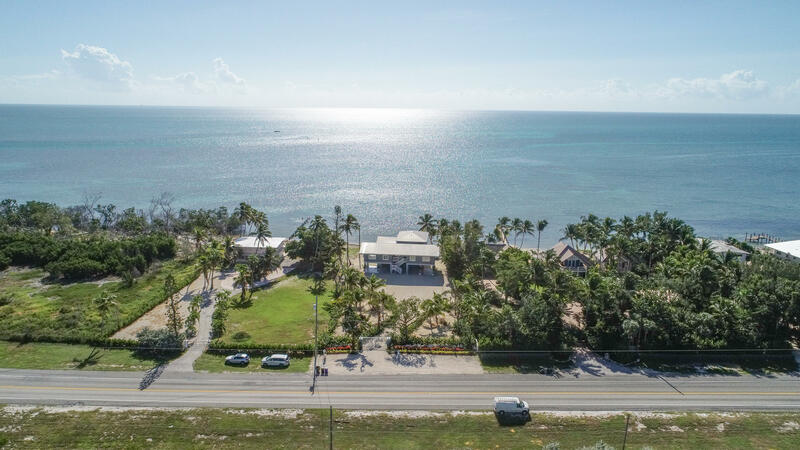 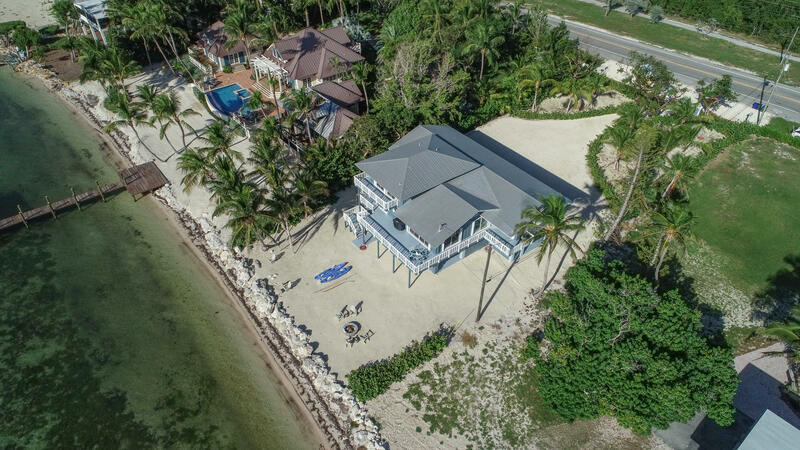 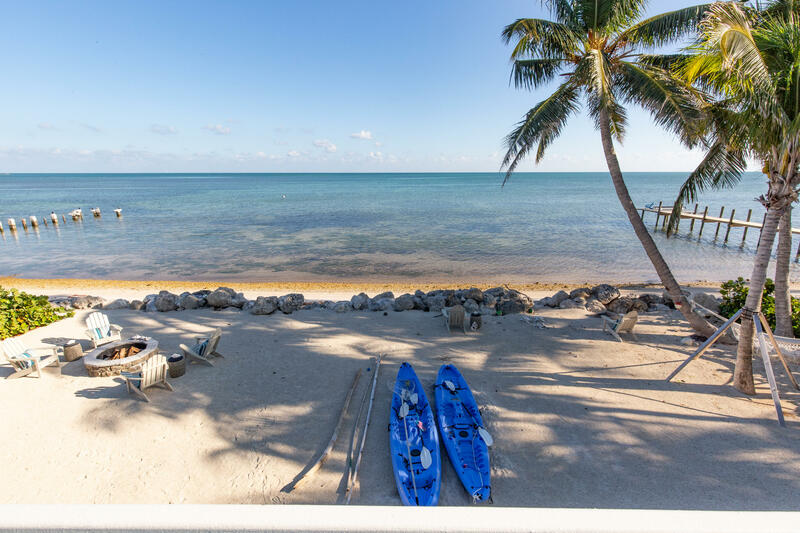 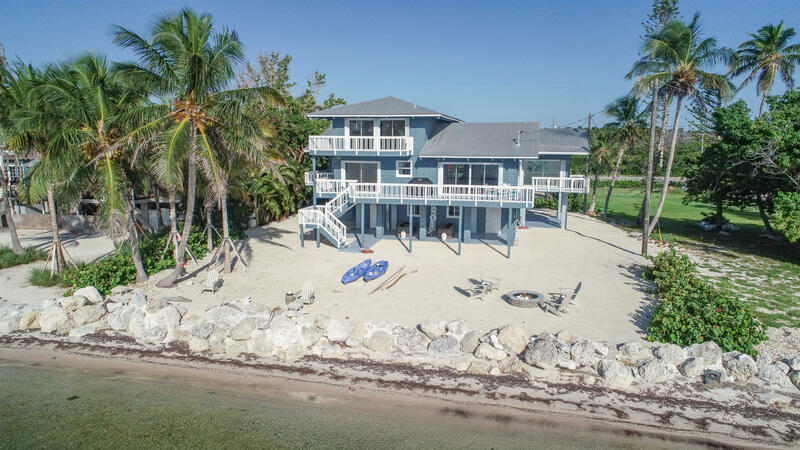 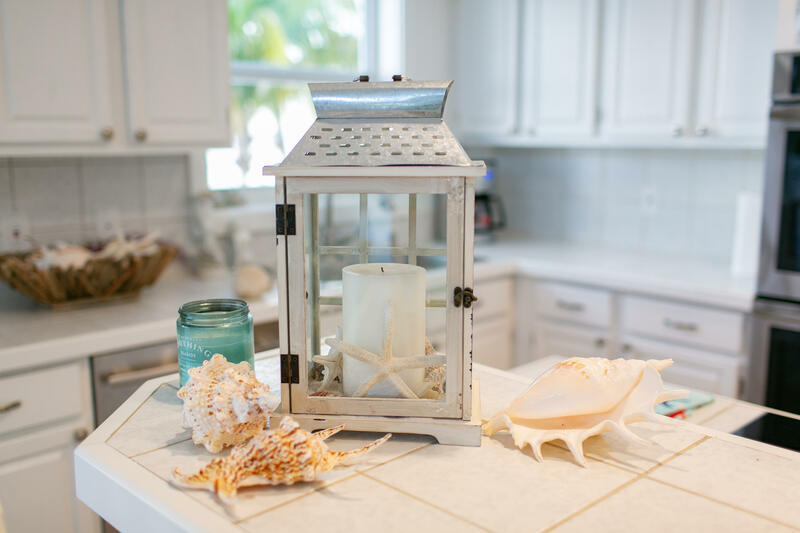 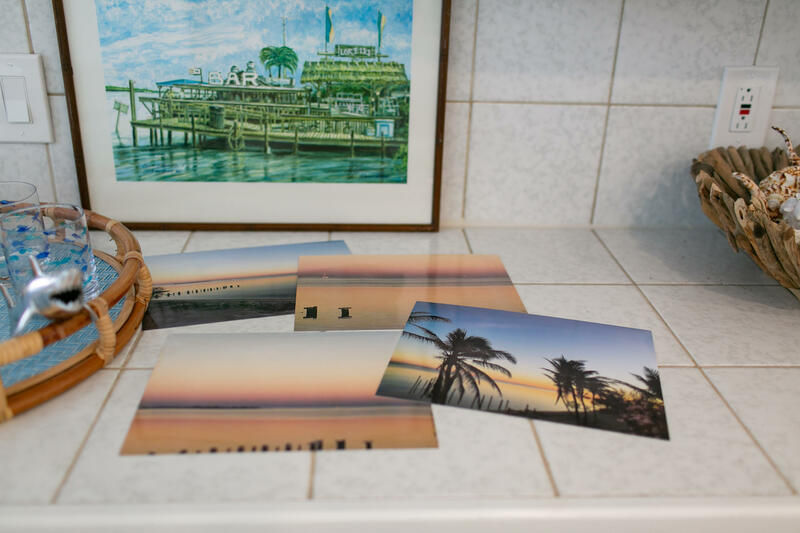 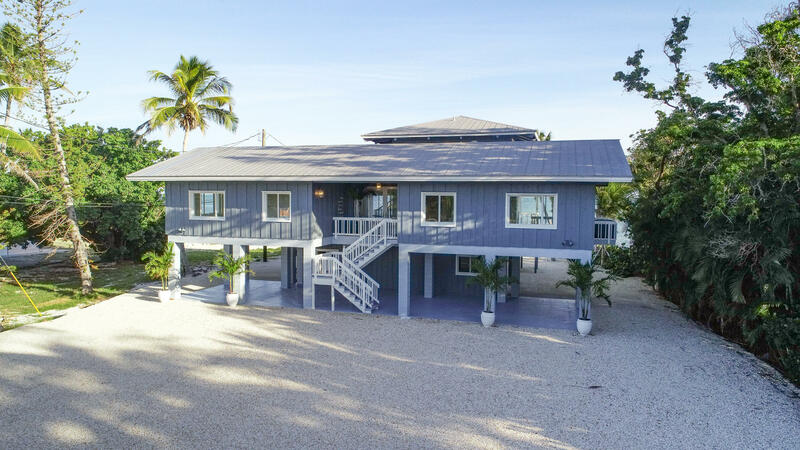 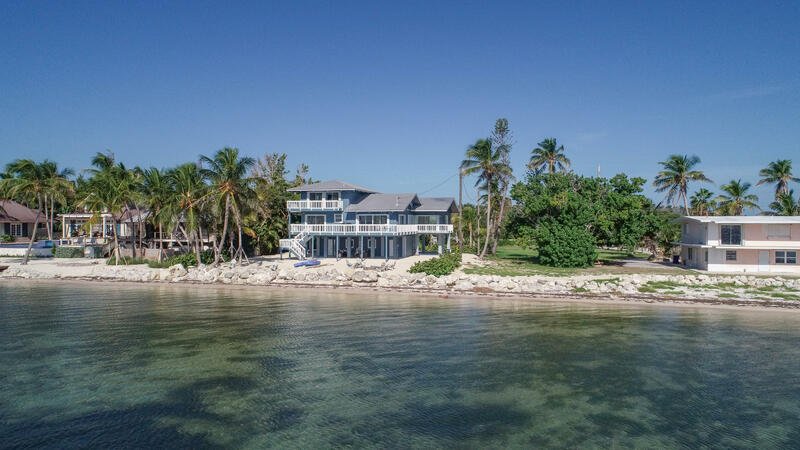 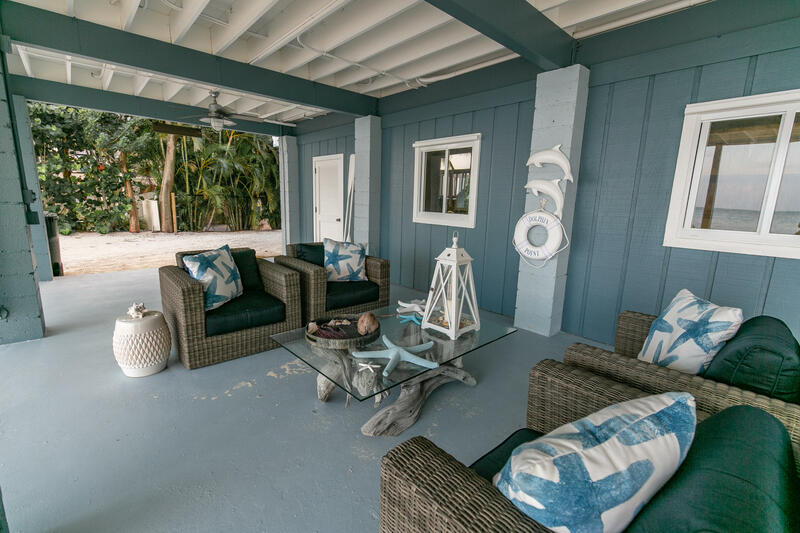 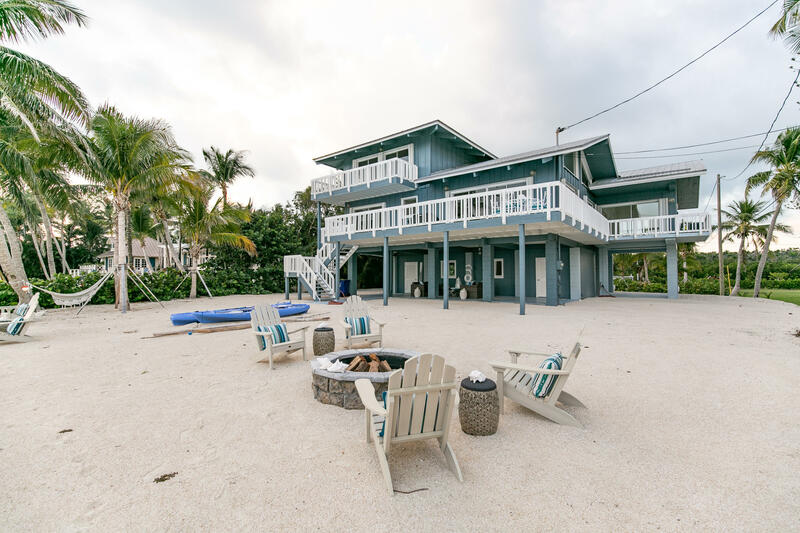 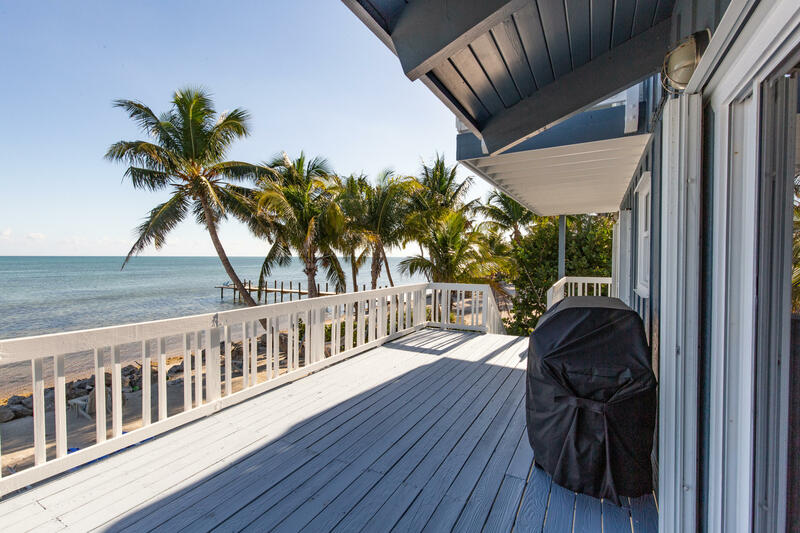 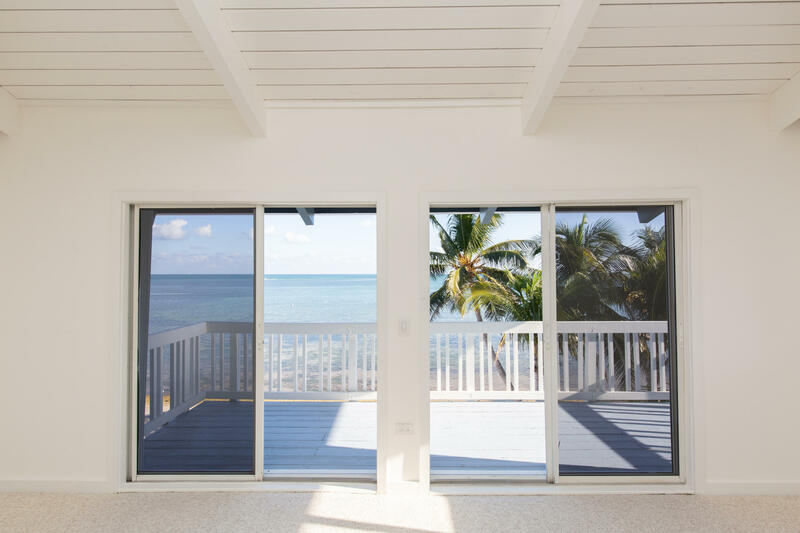 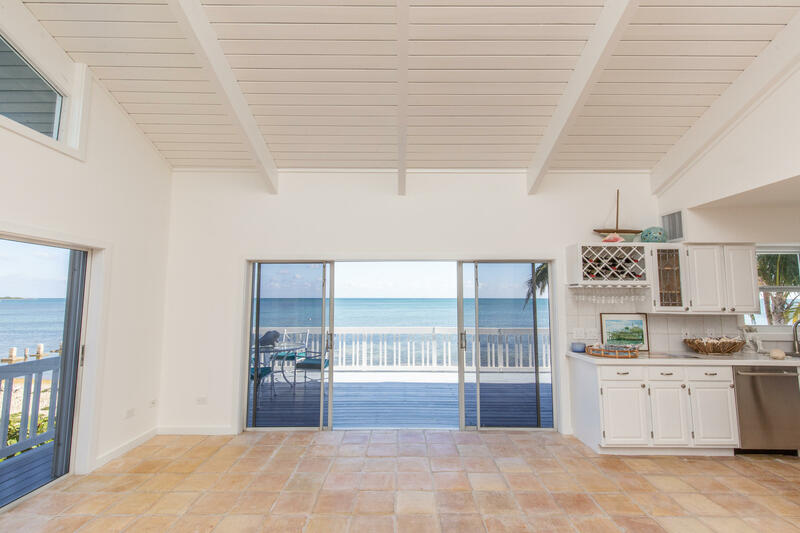 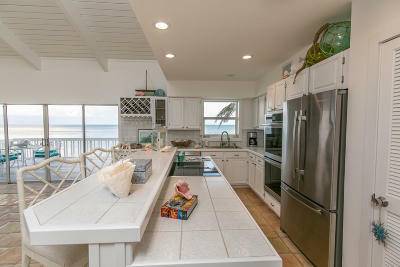 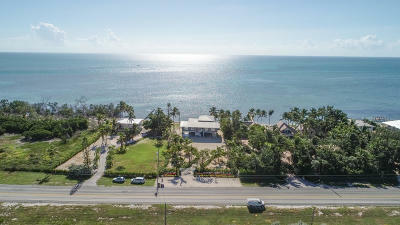 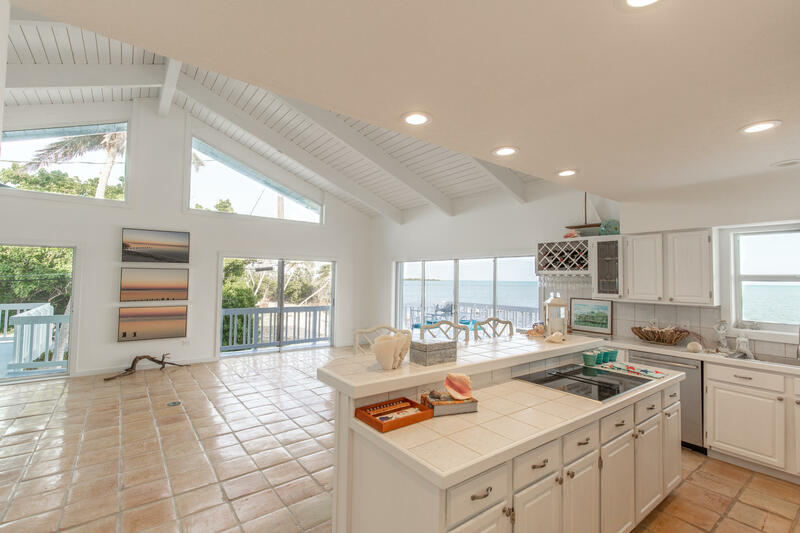 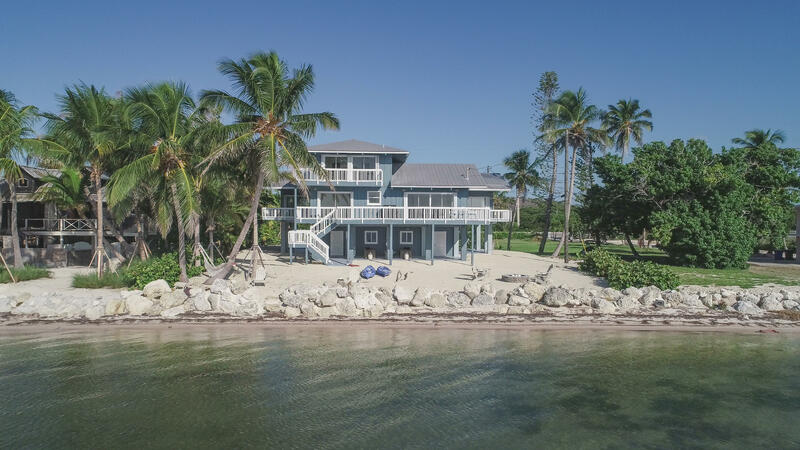 The open floor plan combines the living, dining and kitchen areas and opens to a large porch overlooking the ocean with clear views of Alligator Reef Lighthouse. 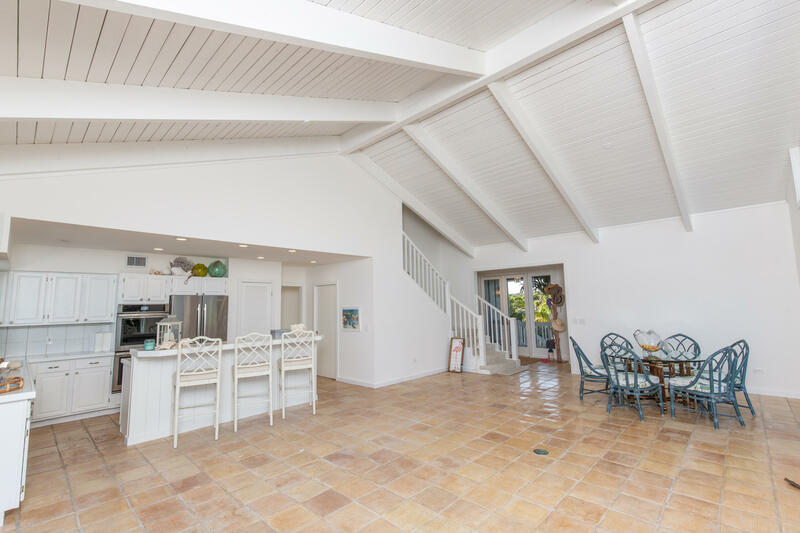 The vaulted tongue and groove ceiling adds to the tropical ambiance. 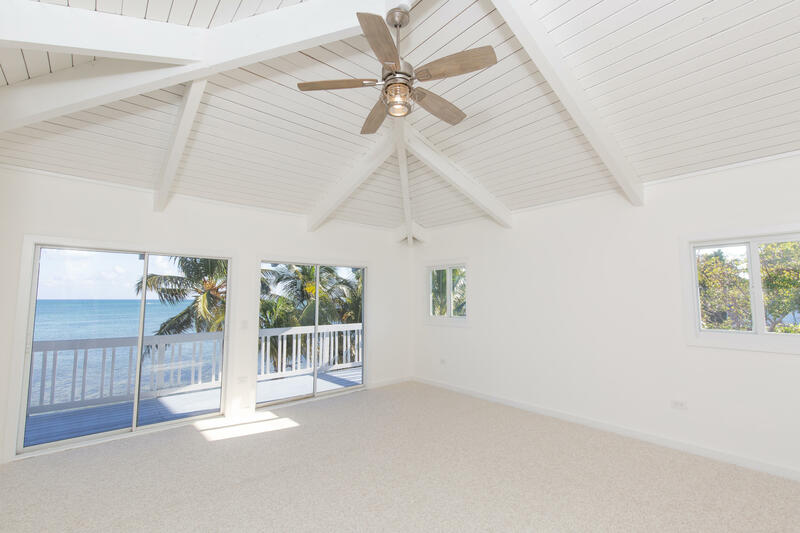 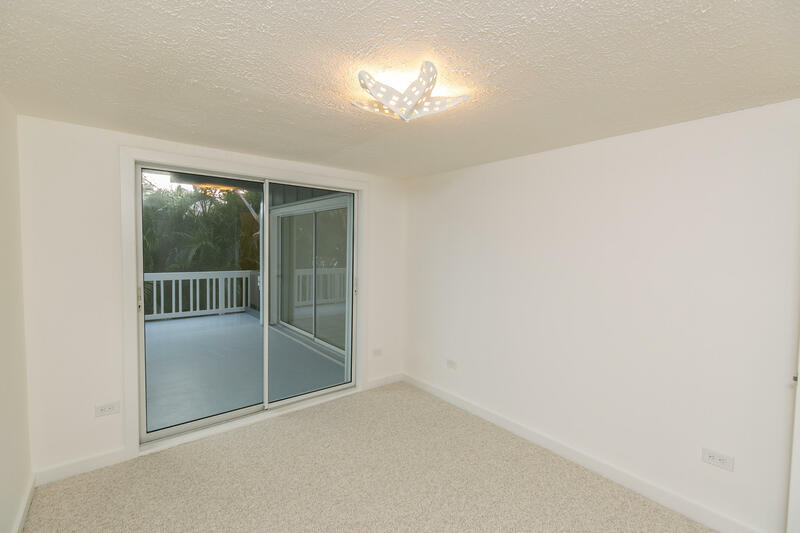 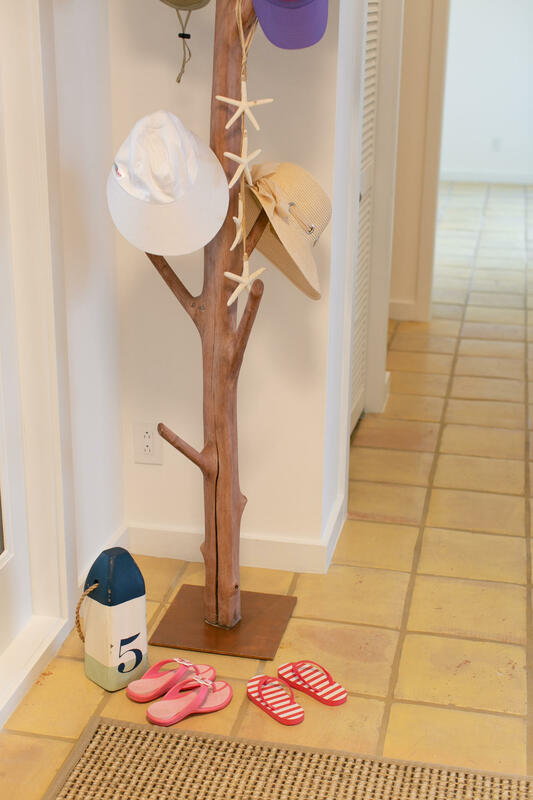 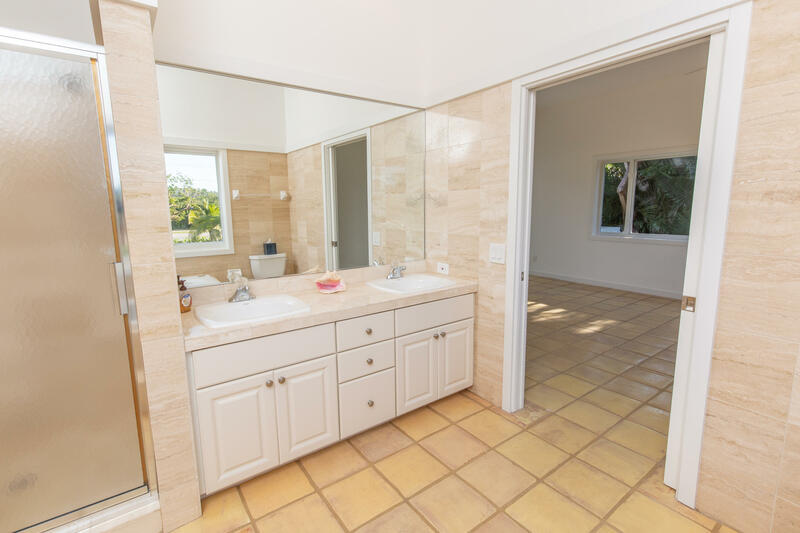 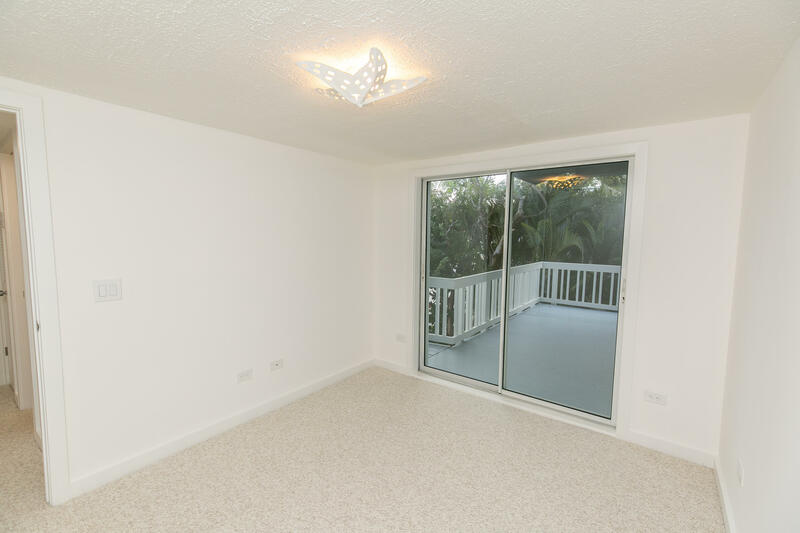 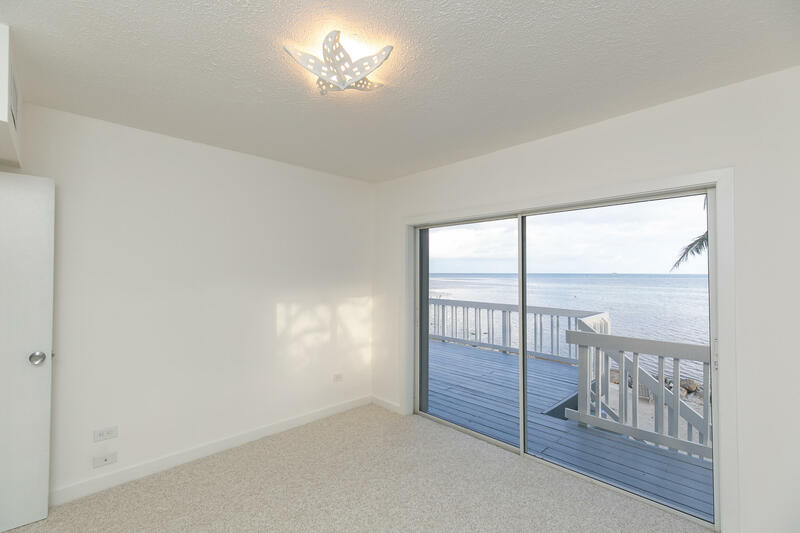 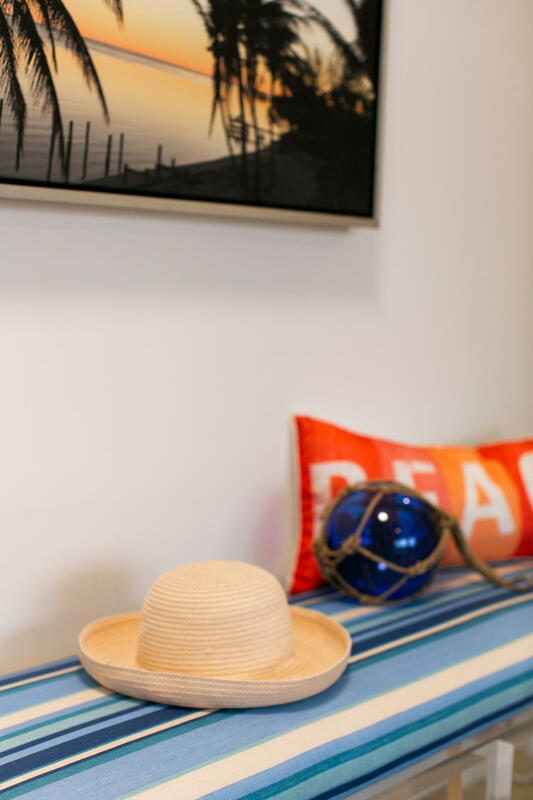 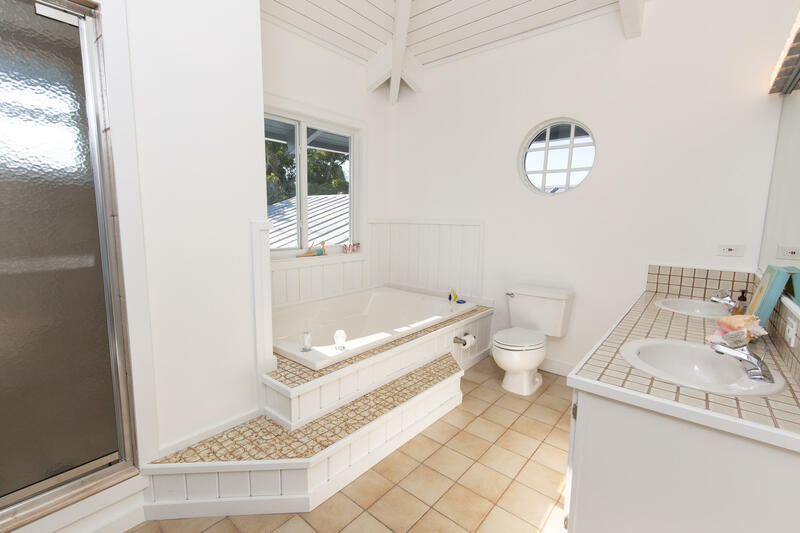 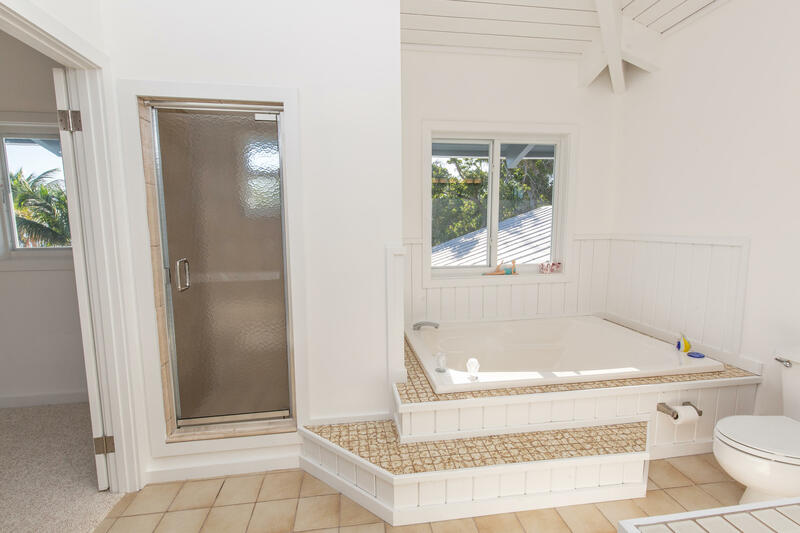 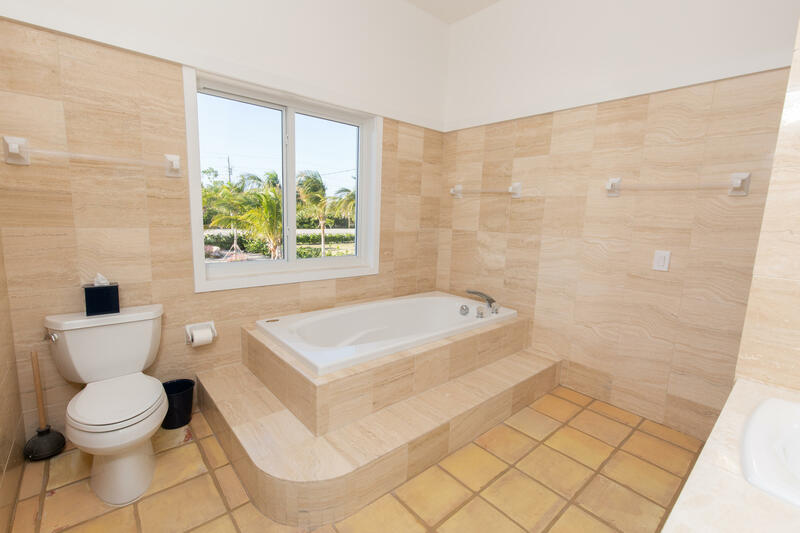 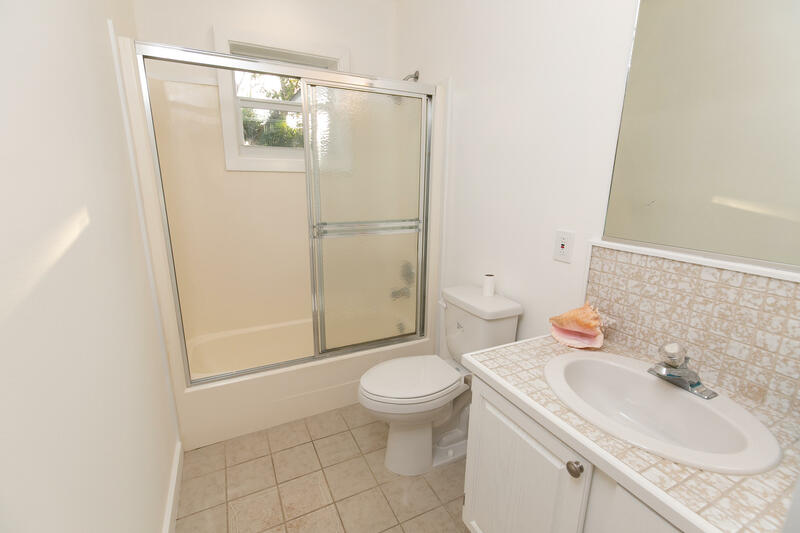 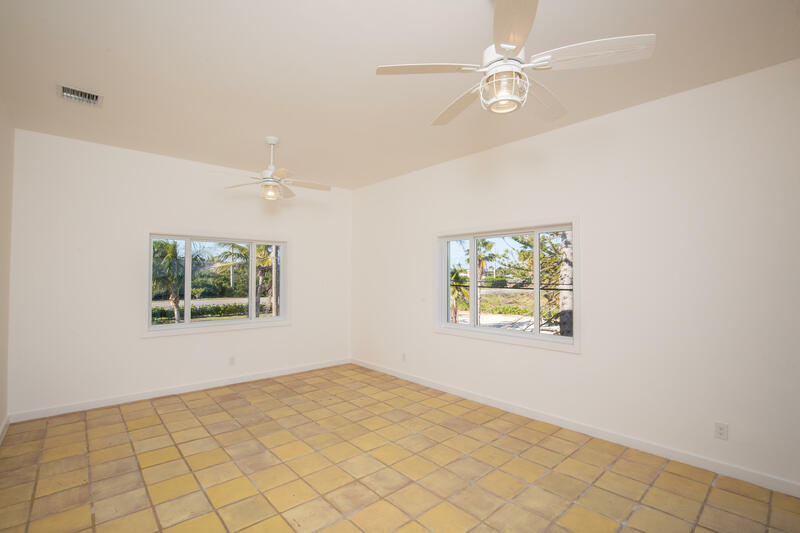 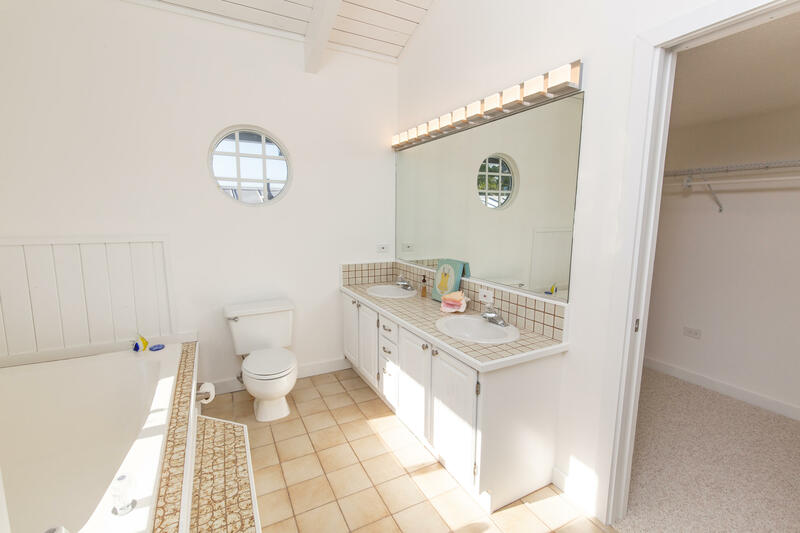 The 3rd floor master suite has spectacular ocean views and vaulted ceilings as well as a large walk in closet. 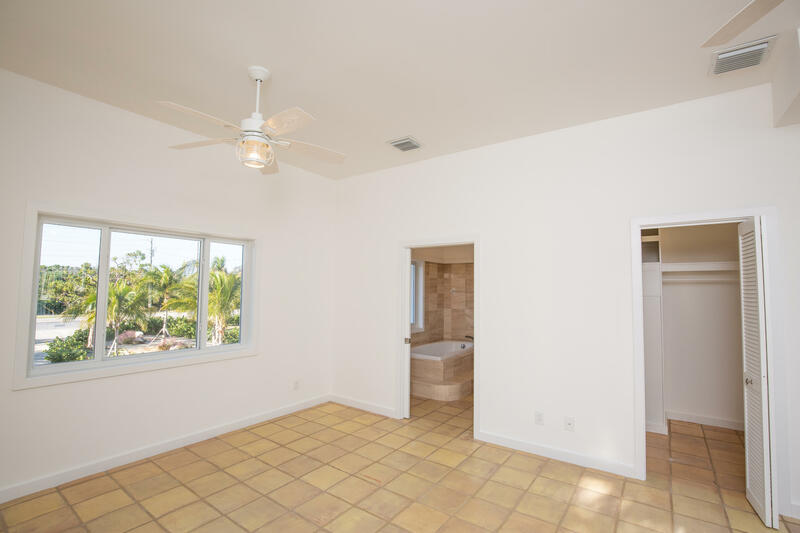 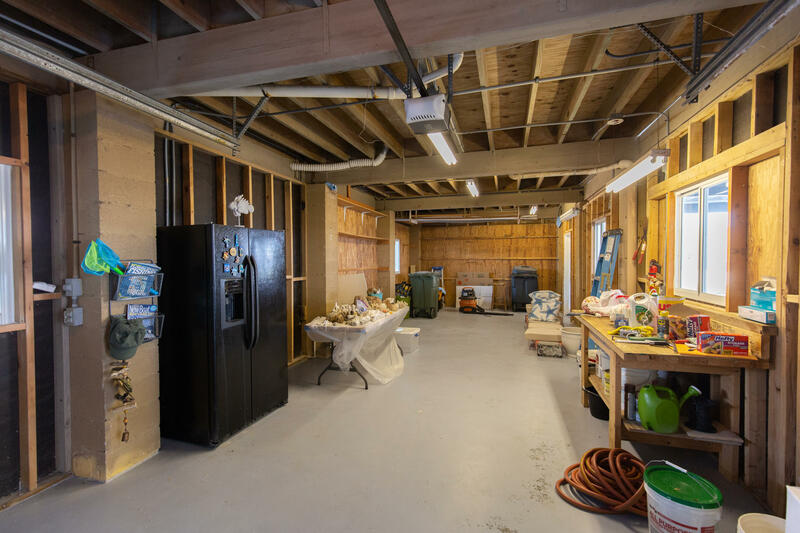 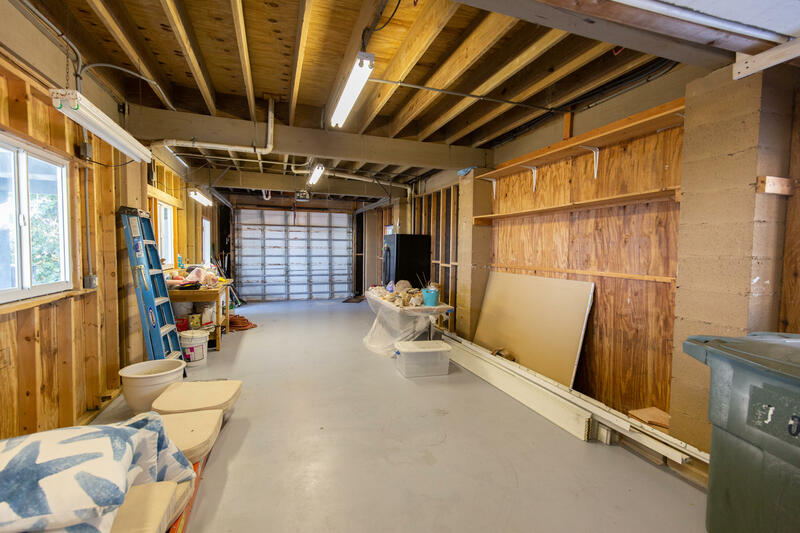 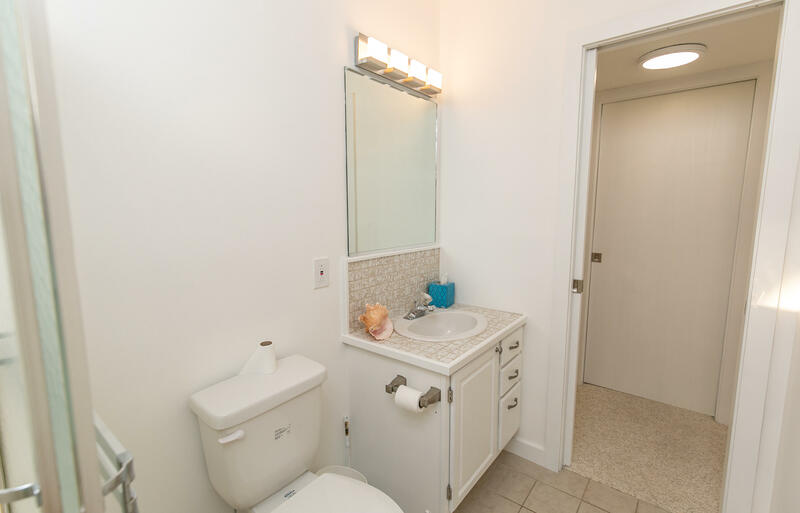 A second master suite, 2 guest bedrooms and a den or office are located on the main living level. 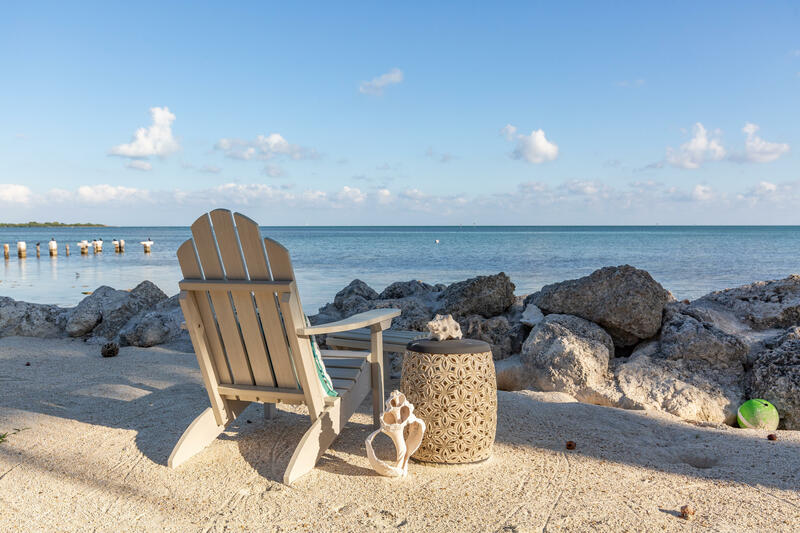 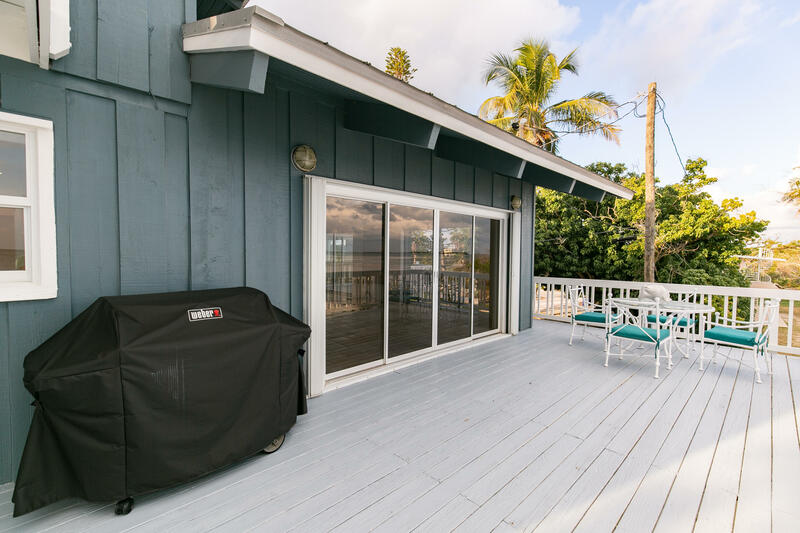 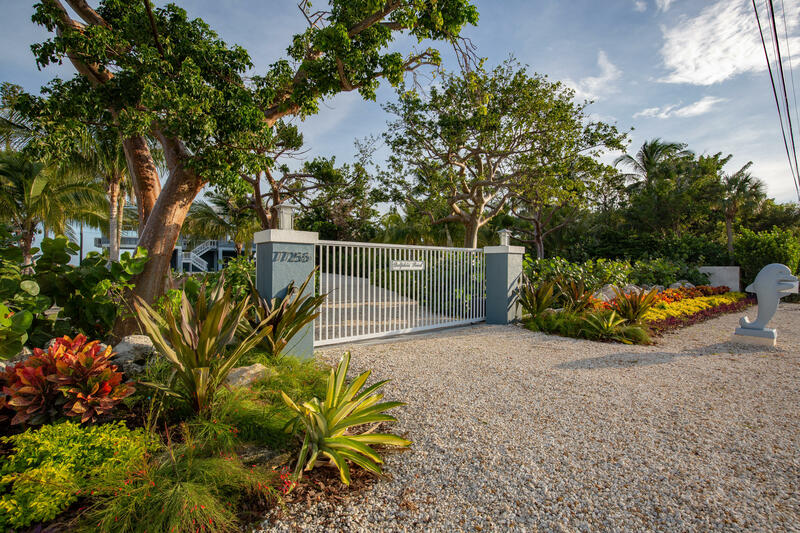 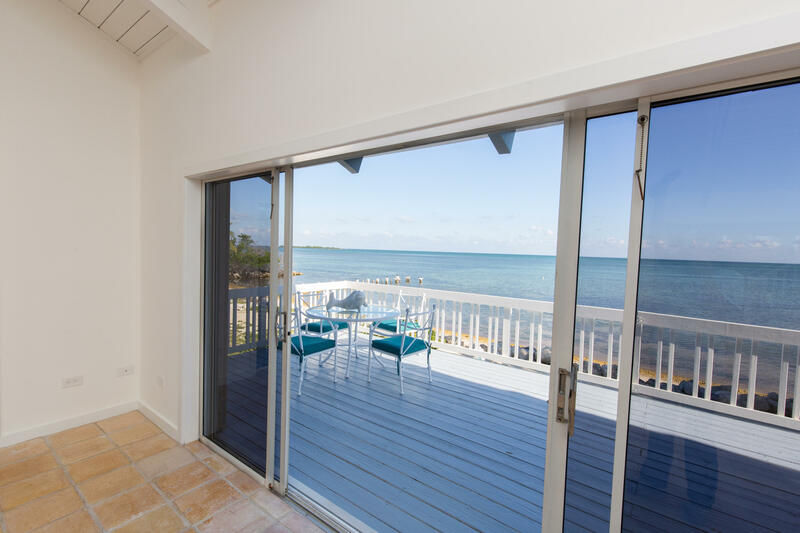 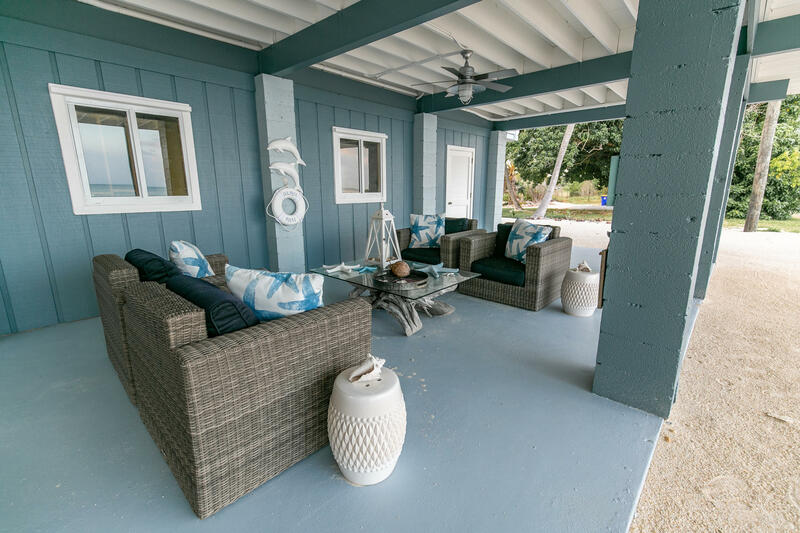 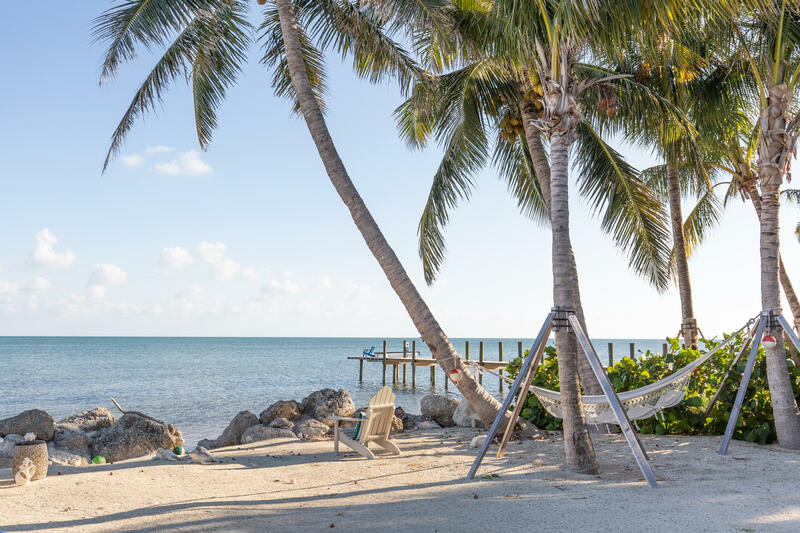 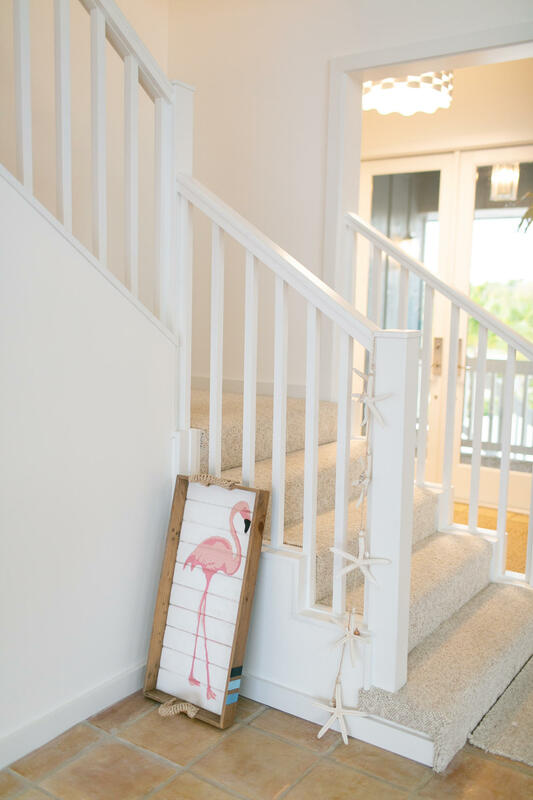 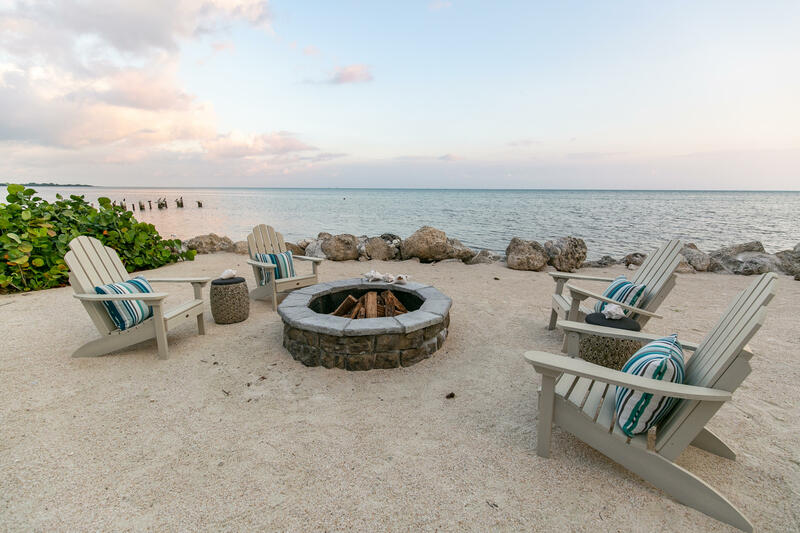 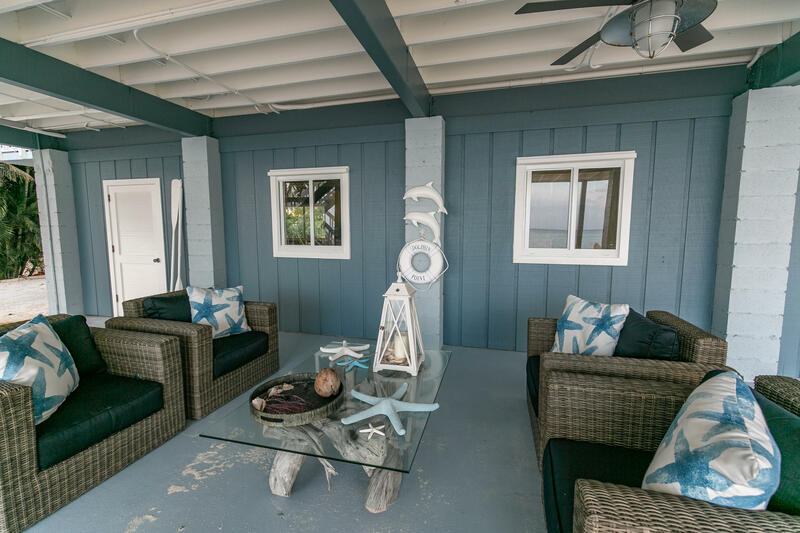 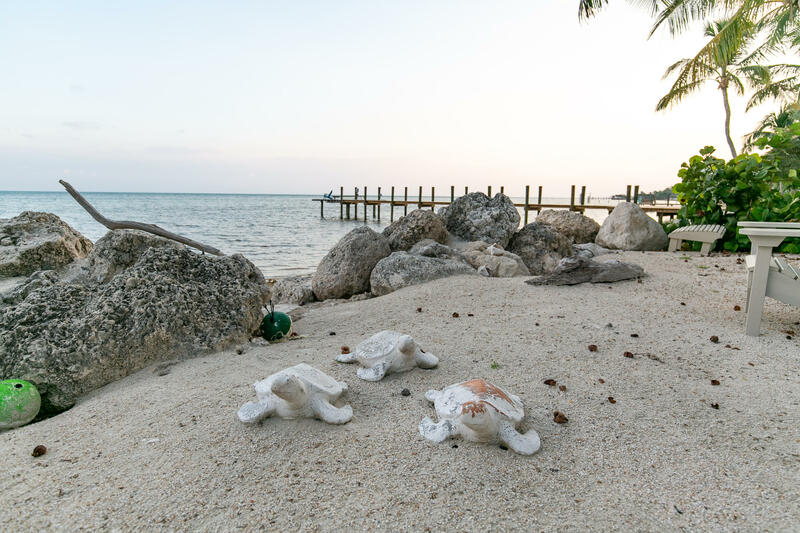 Spacious porches open to views of your beach and the ocean beyond while gracious stairs lead you to the shaded sitting area, fire pit and hammocks for enjoying sunset reflections or views of the stars.